"...we complain that if we say it too much, it'll lose its meaning for us... but I think we worry too much about what something means to us and not enough about what it does to us." Snap! There it was... mind blown. I began to think about how God might be at work in us as we pray, shaping and forming us, even when we ourselves don't fully understand the meaning of our actions. Indeed, the bible is full (especially in Mark's gospel) of people doing things that are deeply meaningful, actions that actually profoundly correspond to and participate in the action of God, without even realizing what they're doing (see Clifton Black's commentary on Mark where he mentions "...the deep irony in Mark's narrative: characters acting and speaking in ways profoundly correct... without recognizing their significance" ((Black, Mark, 282))). And then I had to re-think a lot of things. In retrospect, I think what was happening was my focus was shifting from human action to God's action.... an the concept of grace began to make sense. Grace was no longer just God reacting to what people do in a really nice way... I began to understand grace as something God does for us with or without our own participation, by virtue only of who God is and not at all of who we are or how we act. Belief, then, started to take on new meaning. It was no longer important because of what was effected by it, rather, belief became important because it was effected... it was a response to something bigger. And so belief and confession are not what make us who we are, they are simply affirmations of who we are, corresponding responses to the reality effected by God's grace. So for baptism, it was not the faithful human response, the confession of faith, which provided its basis (although those things may indeed be part of its meaning), but the grace of God which says of us, "you are my beloved," before we have a chance to prove or disprove it. What mattered wasn't so much what baptism meant to the individual, but what happened to the individual in the community of faith through God's action. It wasn't what the person could say about the baptism, it was what baptism could say about the person. So infant baptism has made sense to me. Since grace tells us who we are before we can prove it (or disprove it), what's true of us in baptism is true of us no matter what we think of it. It's not about the confession of faith (though that may be the anticipation of baptism), it's about the affirmation of an identity. When Jesus entered the water of his baptism, sure he was an adult and all, but it wasn't his faith that really made it to the fore of the narrative. That came later, namely in the wilderness. What's centralized in the narrative of Jesus baptism is his identity, who he is, who he's always been even before he got in the water.... "This is my beloved Son..." It's not Jesus who speaks words of confession, it's God who speaks words of loving affirmation. In baptism, it's not us saying, "I believe, I believe..." It's God saying, "you're my child, I love you..." and even though a faithful response (i.e. confession of faith, etc.) might be the only possible corresponding action thereto, this will be true and has been true no matter how you might fail or succeed in living accordingly. What's true of you in baptism is no more true for the person who understands it than the one who doesn't. The Harvard Theologian is no more beloved than the high school drop-out. The Archbishop of Canterbury is no more truly a child of God than the six-week-old screecher. 'Cause when we're talking about the grace of God, since it speaks before we speak, no action will ever prove it wrong or right. It's all been easy-peasy... 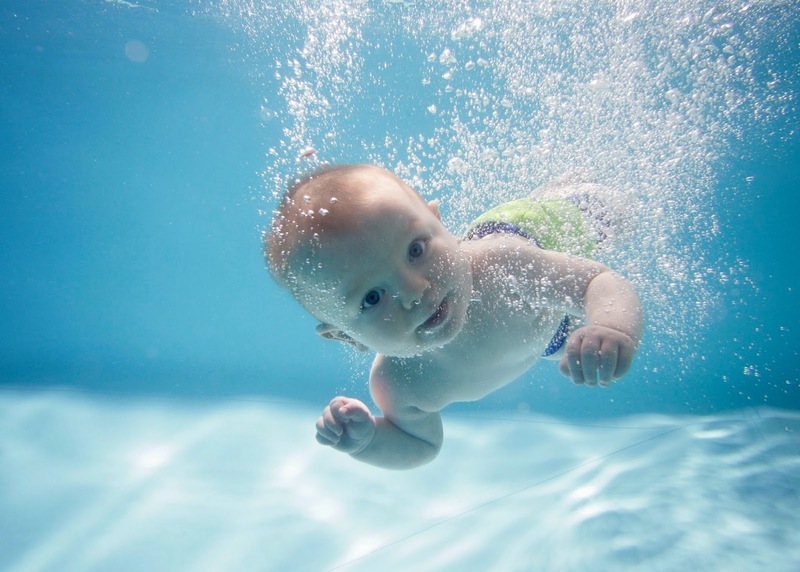 I never rejected believer's baptism, as it were, since what's true in infant baptism is just as true for the adult... and, in fact, there's the added bonus that what exists according to anticipation in infant bapatism (i.e. the faithful response) can have a more concrete presence for the adult since they can confess for themselves what's being said about them (even though as I see it now, whatever we do confess from our own lips and whatever we think we know in our heads, it'll never actually measure up to the beauty and depth of the truth of the gospel). But I was still an apologist for infant baptism. I at least wanted people, particularly evangelical people, to see the validity of infant baptism. But then, more recently... in fact, about six months before Henry was born... things got a little more complicated. Perhaps I was more attune to things because I was faced with the fact that I was actually going to have a real baby to baptize, or perhaps it was just a coincidence, but for whatever reason I started hearing and reading more and more about baptism. I was told, for the first time and with great surprise, that the theologian Karl Barth (a theologian by whom, I must admit, I am greatly influenced) had once believed in infant baptism but, in his "maturity," changed his mind and came to reject it. I then, not long after, read that Jürgen Moltmann, a theologian on whom I've had an intellectual crush for quite a while, also rejected infant baptism, saying, "Only when the baptism of infants is replaced by baptism as a free response to the call of discipleship can there be reform which creates community in the church" (Hope for the Church, 47) Bold statement... sobering even, if you look up to Moltmann like I do. 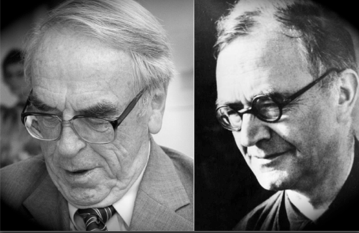 Why would these juggernauts of theological reflection be in opposition to a practice which seems to me to be so overwhelmingly in correspondence to the theological values which they themselves hold, namely, the freedom of God's grace (for Barth in particular) and the eschatological precedence of God's future as the cue for human identity in the present (for Moltmann)? Was it just their German "State Church" context? Was it the ways in which infant baptism has been abused in the Church throughout history? Was it something I was missing? Needless to, I was given pause... and my theological opinion has been humbled. I have gone back and read Barth's position on baptism and I've thought and re-thought Moltmann's position and, while I am indeed humbled in my opinion and while I don't claim to have either of them figured out, I am still quite persuaded by infant baptism. (In fact, I think Barth may have even strengthened me in this persuasion). I have read a few others on the subject, including Otto Weber, Daniel Migliore, and Will Willimon. I have talked through it with my wife, Amanda, and we have decided that we are going to have Henry Baptized in the church. We will have him baptized because, like our identity as the beloved children of God, we want it to be received by him as a gift, without conditions. We believe that God's grace does indeed precede his faithful response (which we anticipate... otherwise we wouldn't bother). We believe that his identity as a beloved child of God, a true human being created in God's image and redeemed by the blood of Jesus Christ, is the truest thing about him, even now, before he has the chance to affirm it or deny it. God's love for him and his place in the church precedes him just as it precedes us. But I realize that Henry might, like me, change his mind a few times. He may one day find himself thinking, "why on earth was I baptized as an infant, before I could decide for myself, before it made any sense to me, before it could even be established in my memory?" So I will explain it to him. I am going to write him a letter—now, at the moment of our decision—to explain what his baptism meant, why it was done, and who he is because of it. Like his baptism, it'll say what it will say before he can understand it. But when he's old enough, perhaps at his confirmation, I hope he'll read it and understand at least why his parents had him baptized, even if he thinks they're fools for it. I hope he'll read it and remember his baptism, remembering who is really is, how greatly he is really loved, and what God has done for him... and I hope he'll try to live and love accordingly.